The FIRST one was on 10/8 and it was awesome. This ride is exactly what it says. FAST. 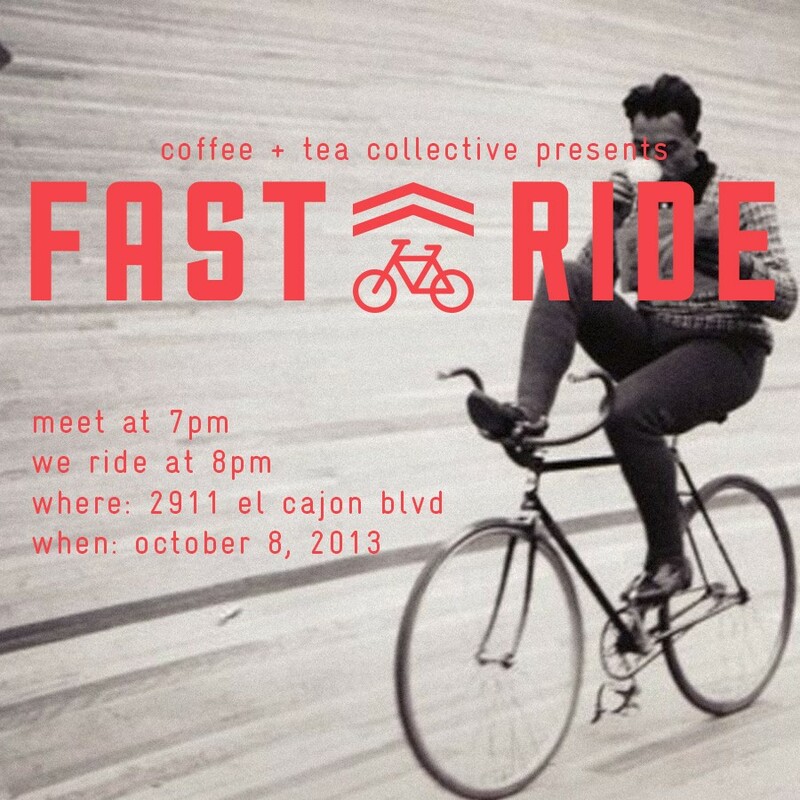 “The ride is a weekly fast paced bicycle ride that meets at Coffee & Tea Collective at 7:00pm, leaves at 8:00pm and goes throughout metropolitan and all outside areas of San Diego. All cyclists welcome but should remember to ride safe and within their own limits. Hold your line and be aware of people/cars around you, this is not a race or a mass..
**Coffee & Tea collective, the organizers of this ride and all participants hold no responsibly for any damage of property or bodily harm to any riders and/or people involved or spectating this ride.